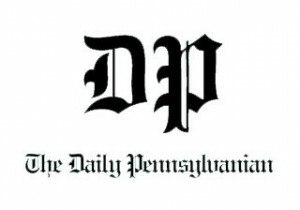 We strongly disagree with the points of an op-ed in “The Daily Pennsylvanian” in which the writer argues against Early Decision policies. We find his points to be a bit out of touch with reality. If you’re a regular reader of our college admissions blog, you know that we encourage our students at Ivy Coach to make an Early Decision commitment by applying to a college with an Early Decision policy, or to apply to a college that offers an Early Action policy. It’s one of the few cards that students have in their back pockets. To not use this Early Decision or Early Action card is wasteful and, at Ivy Coach, we are not fans of waste. If you simply peruse Ivy League admissions statistics over the years, you’ll note the clear statistical advantage of applying Early as opposed to in the Regular Decision round. We’re not naive to believe that that are not critics out there of Early Decision and Early Action admissions policies. Of course there are critics. There are always critics. And, in fact, one critic of Early Decision admission at Penn wrote an op-ed a couple of days ago in “The Daily Pennsylvanian” that we figured we’d discuss. And what do we have to say about this? Hogwash. Who says Ivy League admission is a meritocracy? Who says Penn is all about creating a meritocracy? If that’s the case, then why should donors get their names on Penn buildings? Why should legacy admission exist at Penn and other highly selective colleges? Why should Affirmative Action policies exist not only at Penn but at highly selective colleges across the United States? Highly selective college admissions is no meritocracy. There are elements of meritocracy to the process. Mr. Britto’s suggestion is in fact rather naive. And his argument that commitment shouldn’t matter is nonsense. Colleges are businesses. They care deeply about their yield rates. Why should a business not look to secure the students who are committed to attending just as a clothing store should try to get people to come to the store who will buy their jeans? Mr. Britto, Wharton is a phenomenal business school. You’ve received an outstanding education. But when you enter the real world next year, you might be in for a wakeup call.